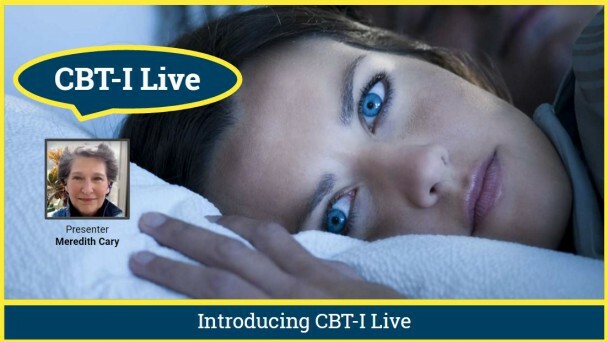 Focus: “Cognitive Behavioral Therapy - Insomnia: How it works to end insomnia"
Tens of millions in the U.S. struggle with insomnia and too few know that doctors actually prefer CBT-I (over pills), a therapy that has a proven 70 to 80% success rate for ending insomnia. 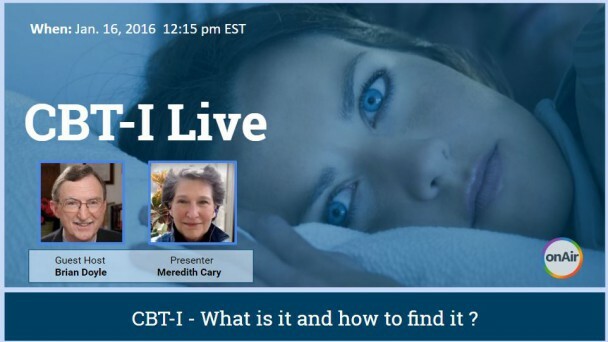 Our online streaming chats, CBT-I Live, will spotlight CBT-I specialists who will share what they know. They'll suggest all the ways to get affordable, accessible CBT-I help - anywhere ... and more. Join us ... send us questions ... participate by sharing your CBT-I success stories. And, share our shows with your networks!